Black TV shows have a long legacy of producing landmark winter holiday episodes. When I think about my own childhood, I fondly remember watching my favorite characters bring their own versions of magic to the holiday season. These shows somehow could always find that perfect balance of comedy and heart that made holidays with friends and family special. The Fresh Prince of Bel-Air stands as one of the best and most successful black series of all time. And the Christmas episode from season 4, titled “Twas The Night Before Christening”, was one of its best. 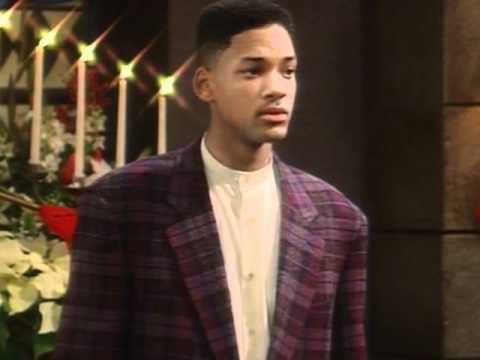 “Will” (played by Will Smith) told everybody that he knew Boyz II Men and could get them to perform at baby Nicky’s christening. As you’d expect, he has to go through a lot to come through on his promise, and after is appears that he has failed, the group makes a surprise appearance at the Christening. It’s got that new baby magic mixed in with the one of a kind harmonies of Boyz II Men singing “Silent Night”. And honestly, Christmas just ain’t Christmas without at least one Boyz II Men song. Every episode of Martin had something bizarre going on. And season 3’s “Go Tell It On The Martin” was no exception. Martin’s (played by Martin Lawrence) local TV talk show is taken over by a suicidal madman. And just because it’s Martin, Bebe and Cece Winans were there too. It perfectly mixes punchy humor with off the wall situations, a hallmark of the Martin show. If you’re a black millennial, Moesha was most definitely had some sort of impact on your childhood. Brandy’s long-running sitcom about being a black teen in L.A. captured youth in the 90’s. In their holiday episode “A Class Act Christmas”, a homeless man ends up holding Moesha hostage at her job out of desperation from being unemployed. In the end, they found a way to spare him from criminal charges and get a strong reminder of what is most important during the holidays. I absolutely loved 227 (and who doesn’t love Marla Gibbs, Jackée Harry, and a young Regina King). For their holiday episode “The Night They Arrested Santa Claus”, Sandra brings a Santa into the building who ends up stealing everyone’s presents. To keep the holiday spirit alive, Mary, Lester, Sandra, Rose and Pearl dress up as Santa but are then arrested as suspects for the original crime. Of course everything gets fixed in the end, but this episode does a great job of both embodying the holidays and delivering on a completely wacky premise. The saga of “Dwayne Wayne” (played by Kadeem Hardison) and “Whitley Gilbert” (played by Jasmine Guy) was what came to define A Different World. So what better way to celebrate the holidays than having the pair at odds yet both invited to dinner with Colonel Taylor and Julissa? That’s exactly what “Twelve Steps of Christmas” was built upon. And awkwardness during the holidays is always entertainment gold especially between these two. My favorite period in Queen Latifah’s career wasn’t when she was proclaiming “U.N.I.T.Y.” or landing big screen roles or even starring in The Wiz Live!. 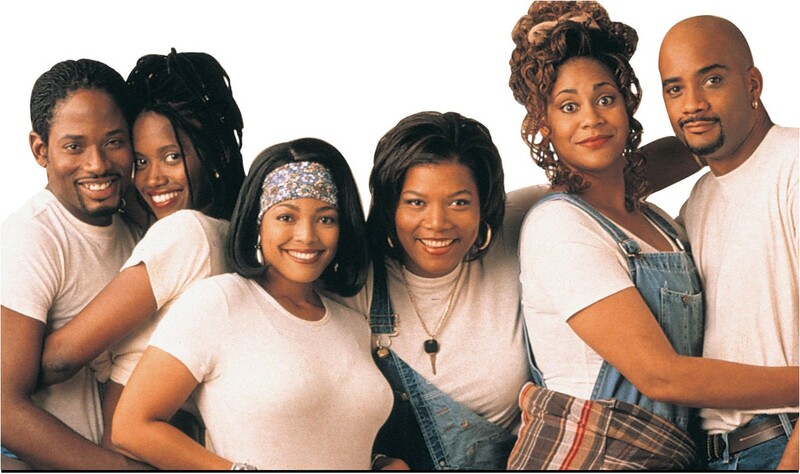 The best part of Queen Latifah’s multi-faceted journey was playing Khadijah James, a thirty-something black woman living in a brownstone with her two friends. And while this series had a few holiday themed episodes “Let It Snow, Let It Snow, Let It Snow…Dammit” was its best. This episode had the whole gang staying in a Canadian cabin, dealing with a Mountie that takes his job too seriously, and Max and Kyle competing over getting each other the best present. I’d watch this show every day if I could. There was a time in my life when I thought Family Matters would never go off air. It just seemed like we’d be seeing Steve Urkel (played by Jaleel White) and Carl Winslow (played by Reginald VelJohnson) go at it for decades. But more important that Urkel and Carl fighting back and forth was Laura and Urkel always at odds. In “It’s Beginning to Look a Lot Like Urkel”, Laura gets upset with Urkel for the 15 billionth time, she wishes that he could understand what it’s like to be her. Enter Laura’s guardian angel who grants her wish, with Steve becoming “Steve Winslow” and Laura becoming “Laura Urkel”. Yes, this is a common sitcom trope that has been used to death, but seeing Laura play a nerdy Urkel-type character was iconic. April 21, 2015 Is It Time For A ‘Family Matters’ Revival?